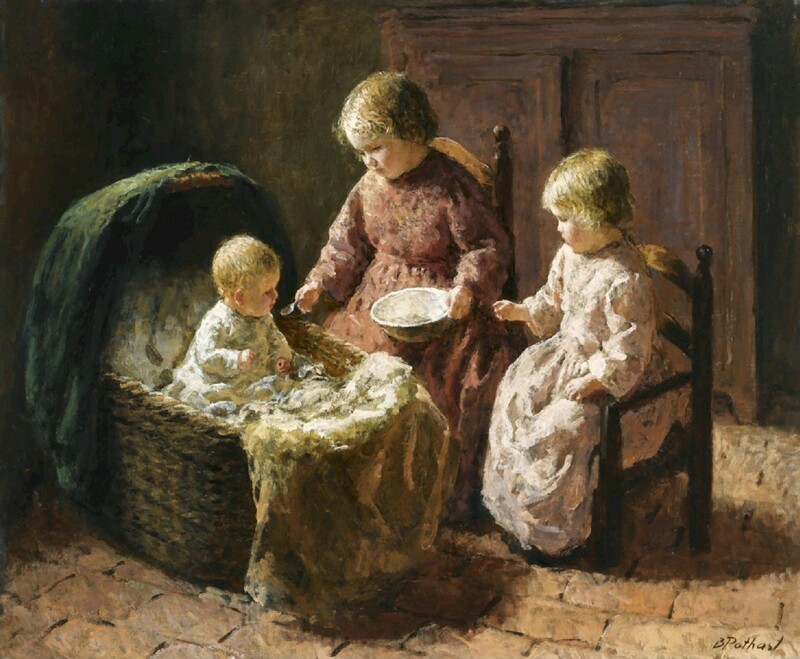 Dutch** /Belgian painter** Bernard Jean Corneille Pothast was born in Hal, Belgium. 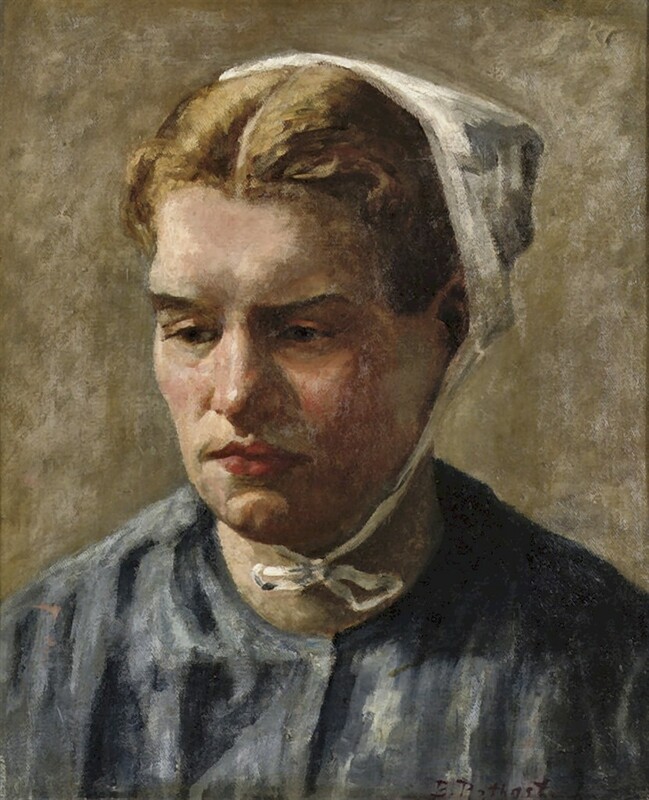 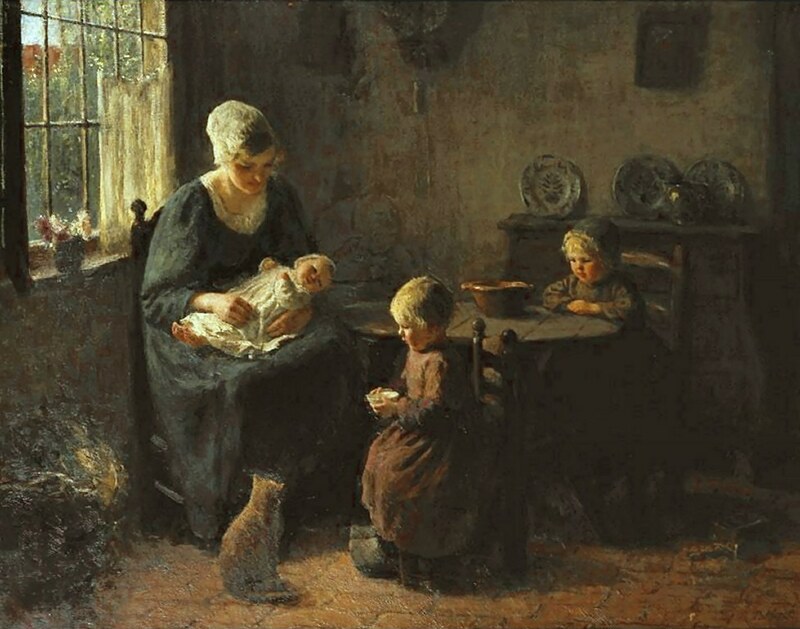 He was a student at the Rijksakademie in Amsterdam from 1904-1907. 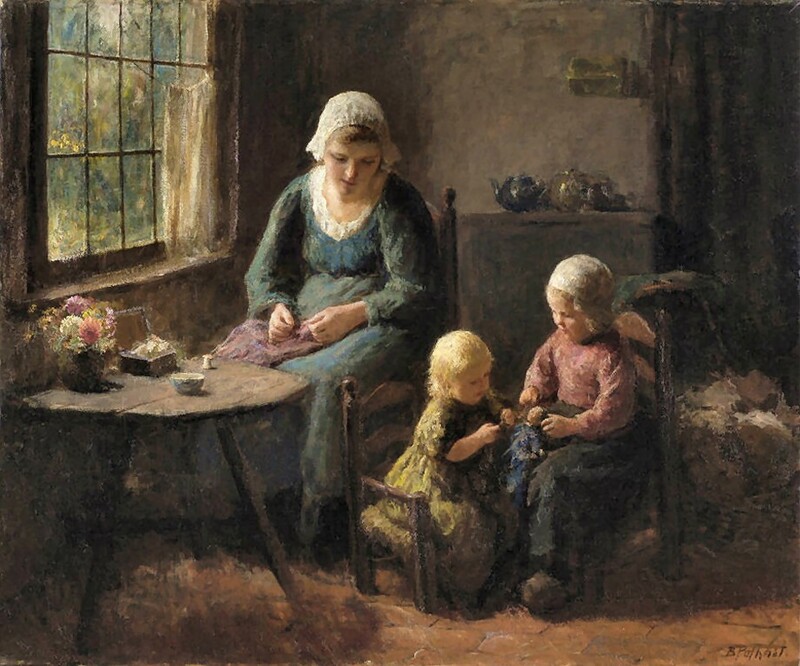 He lived and worked in Amsterdam until 1911 and then he moved to Laren. 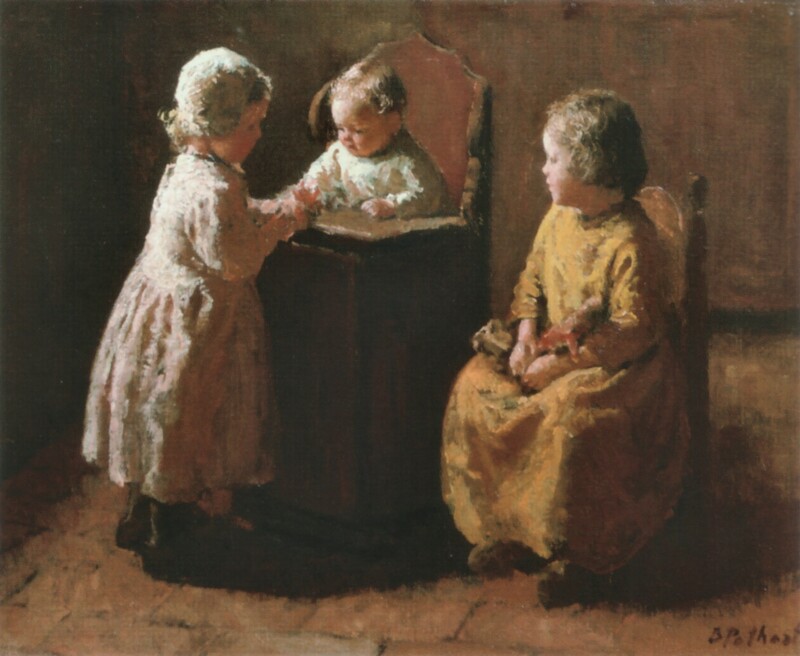 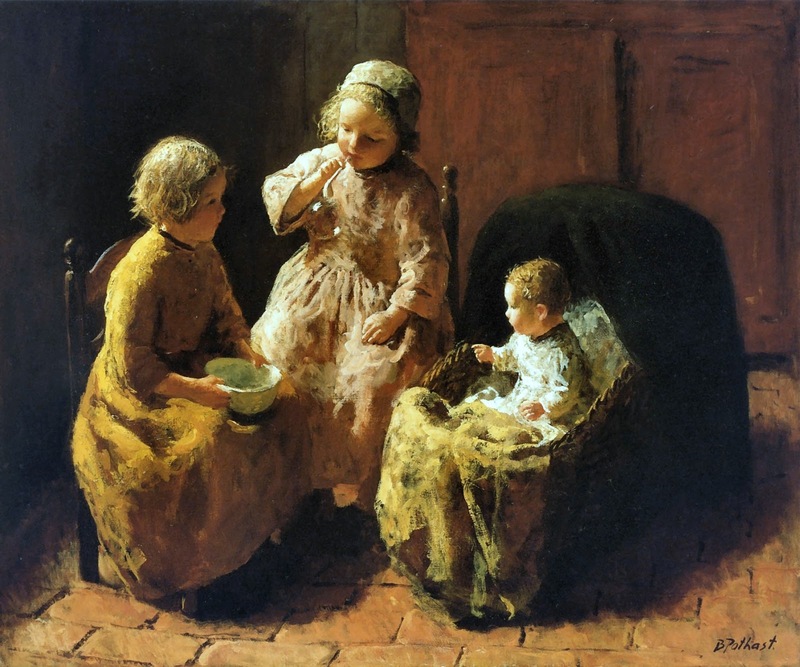 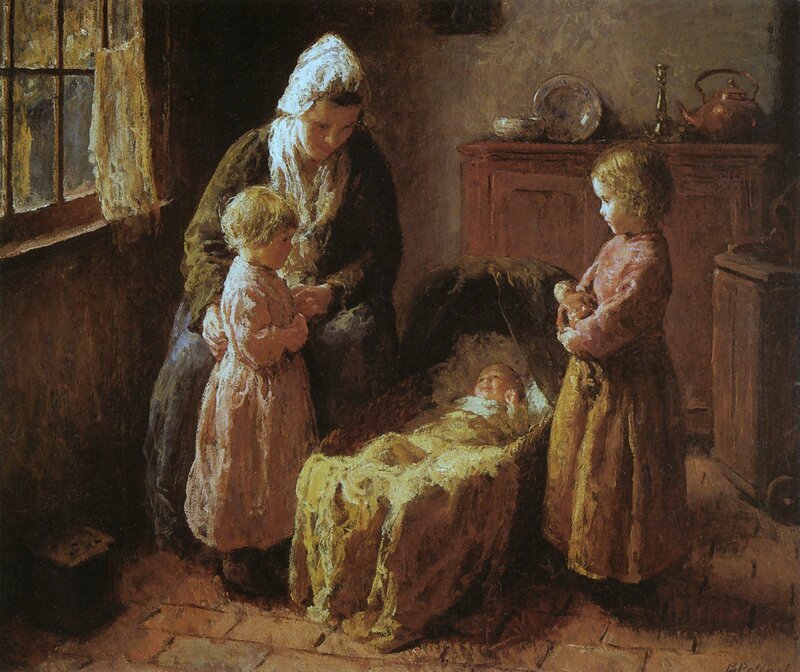 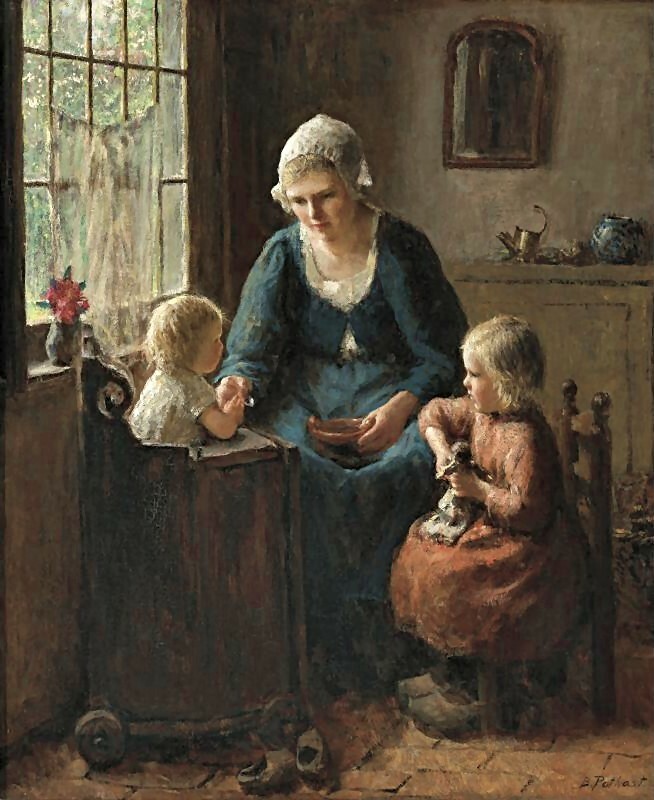 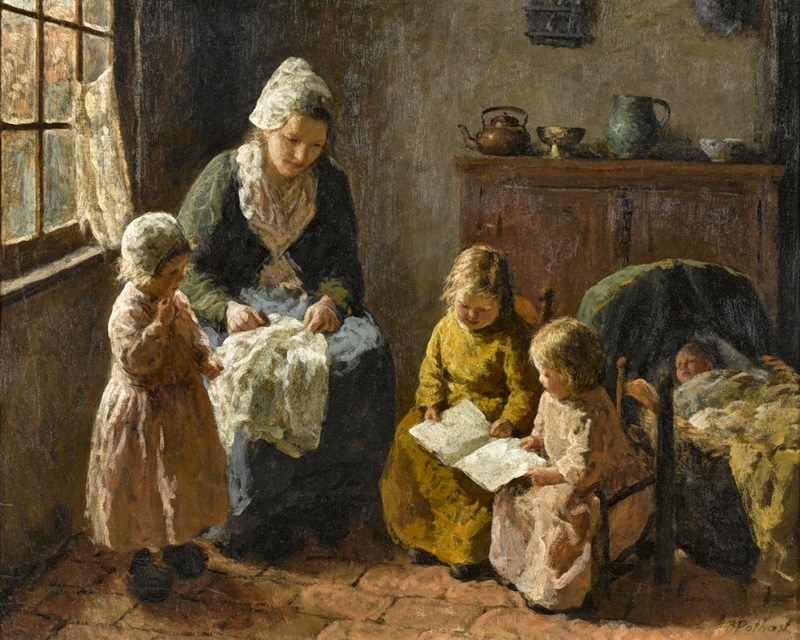 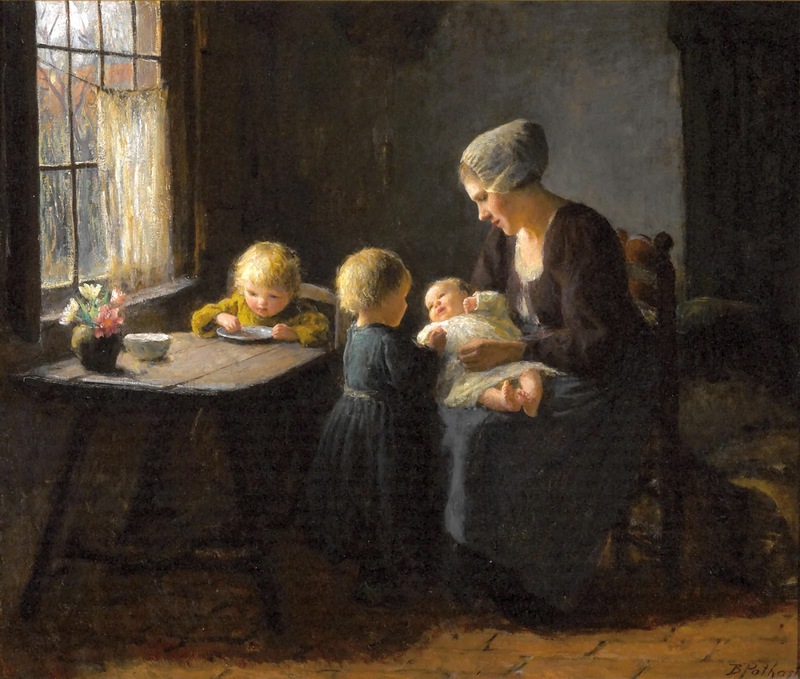 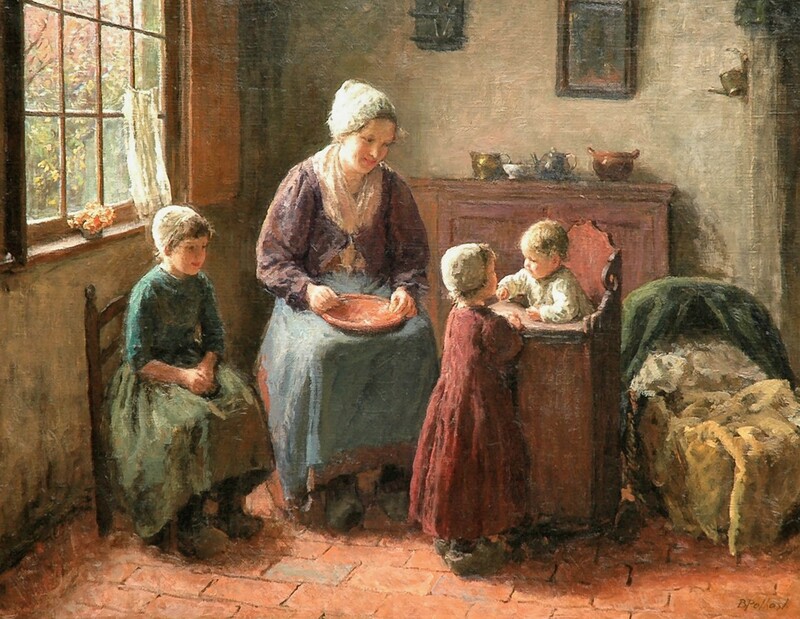 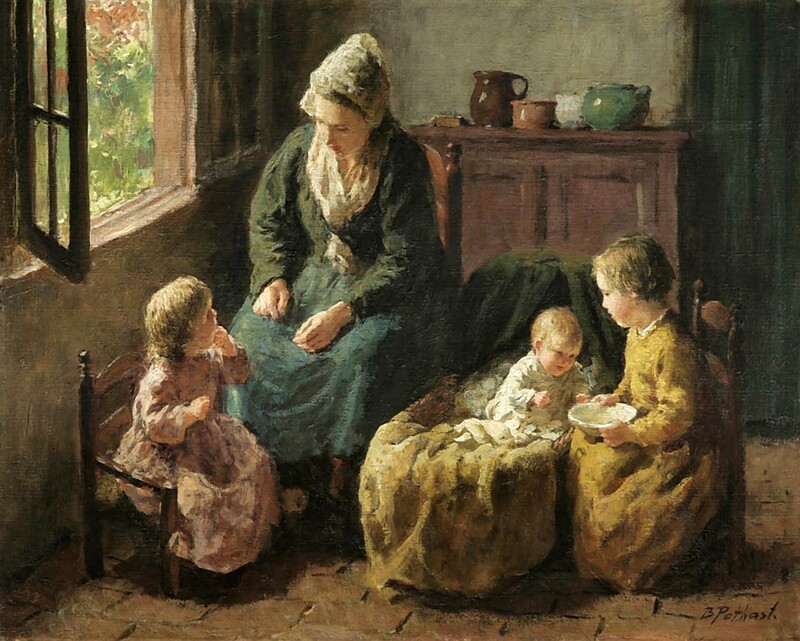 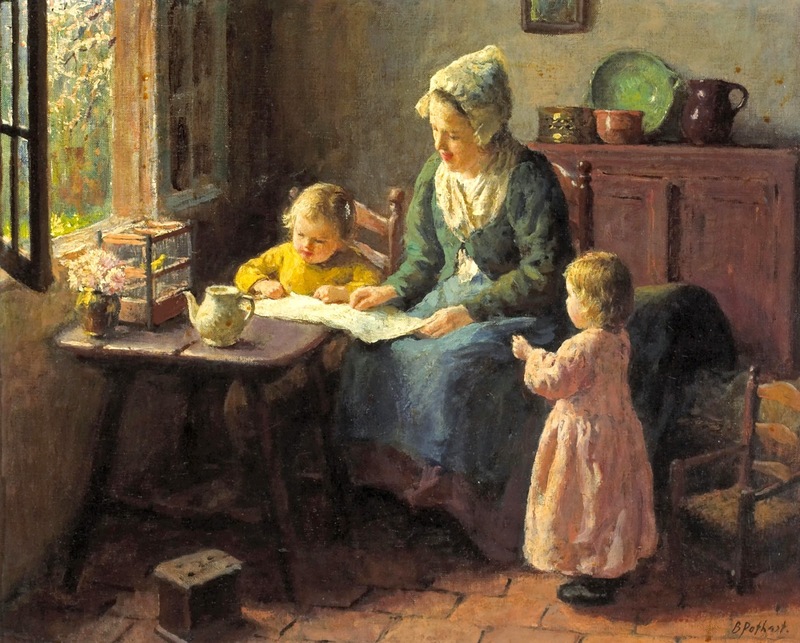 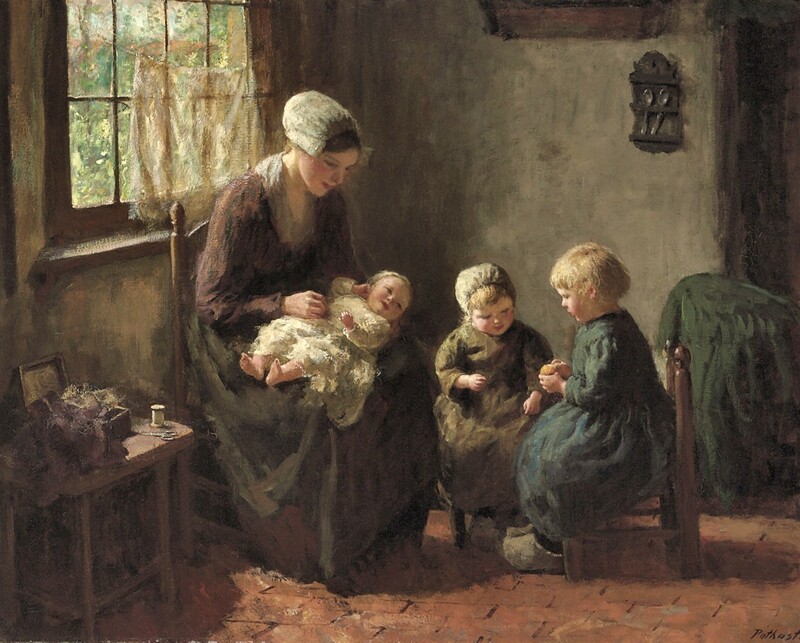 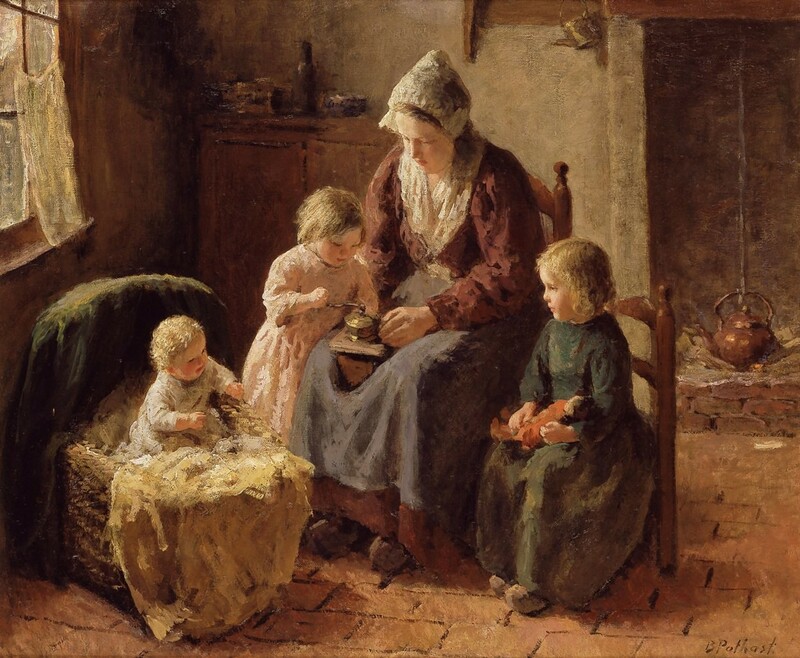 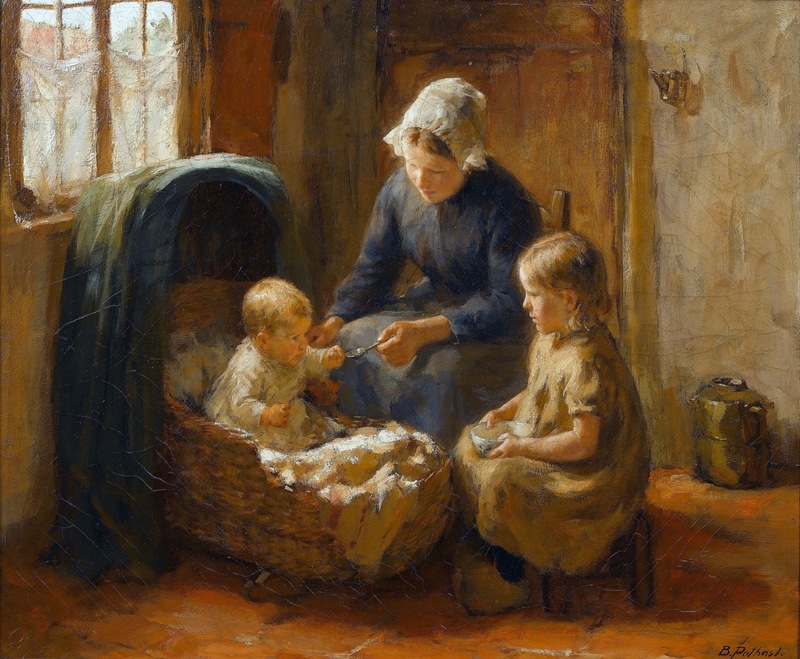 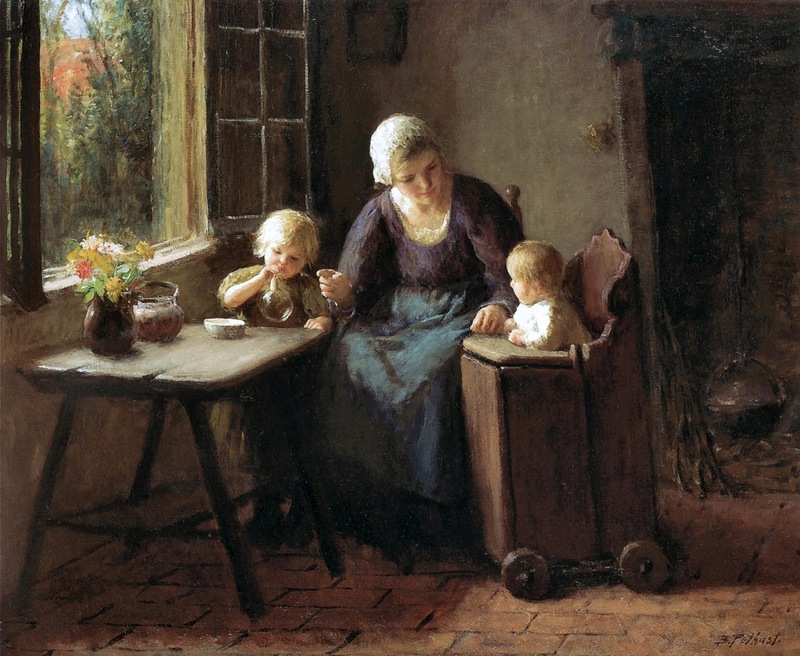 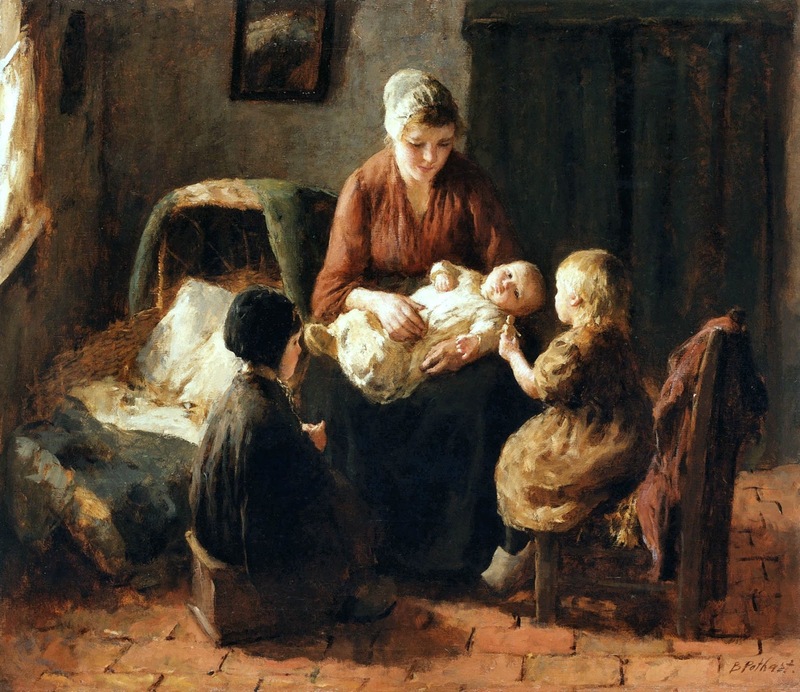 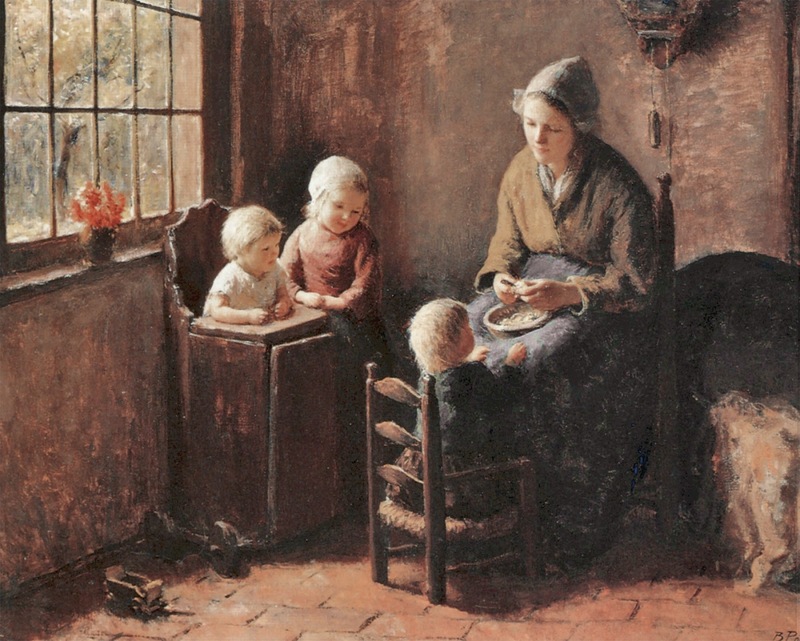 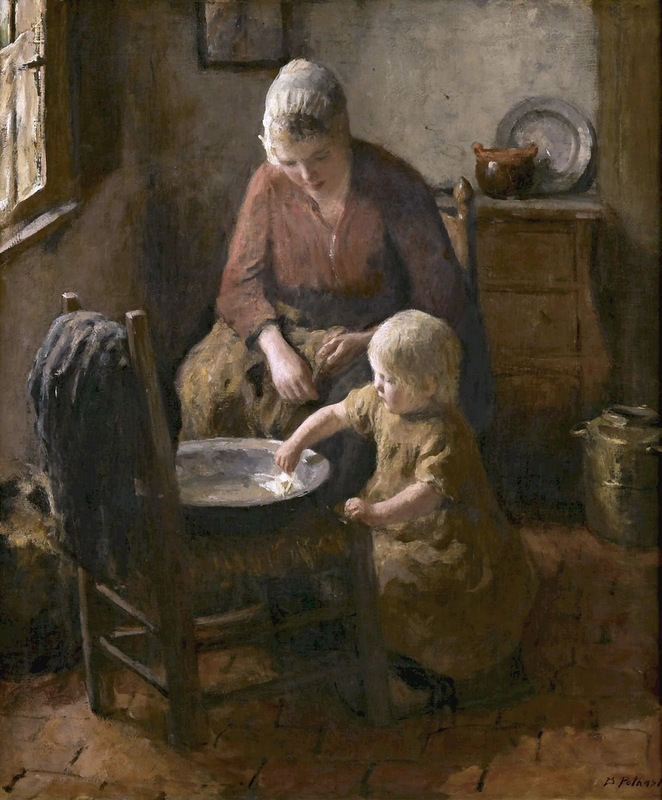 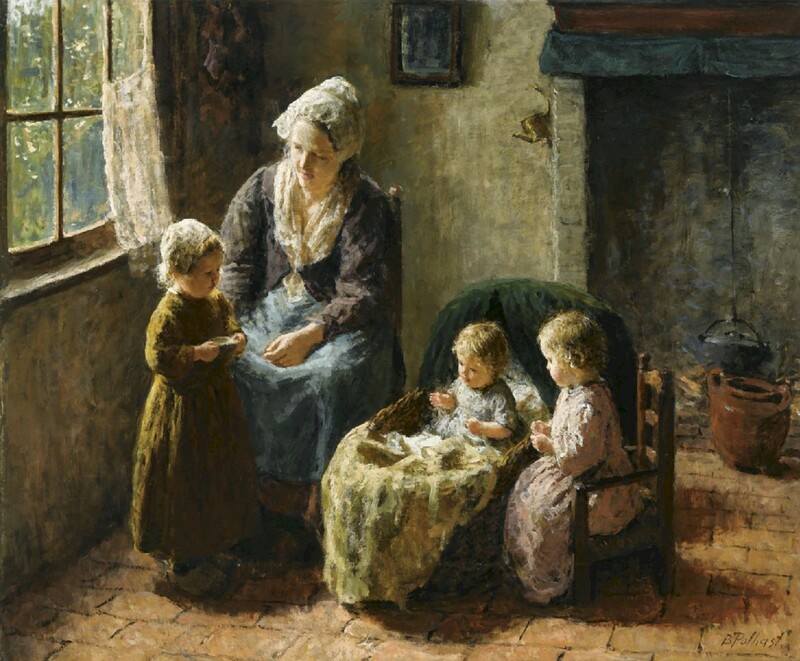 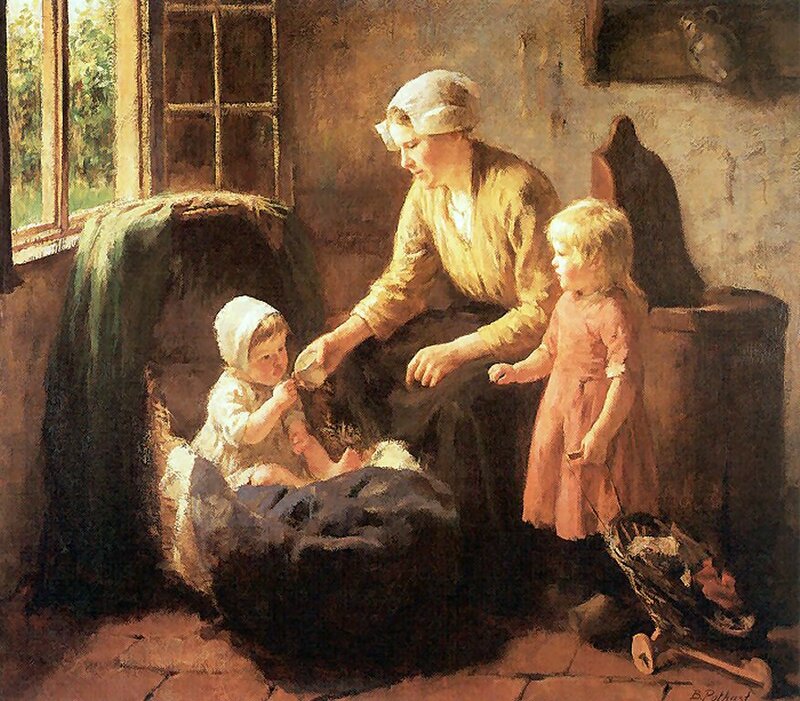 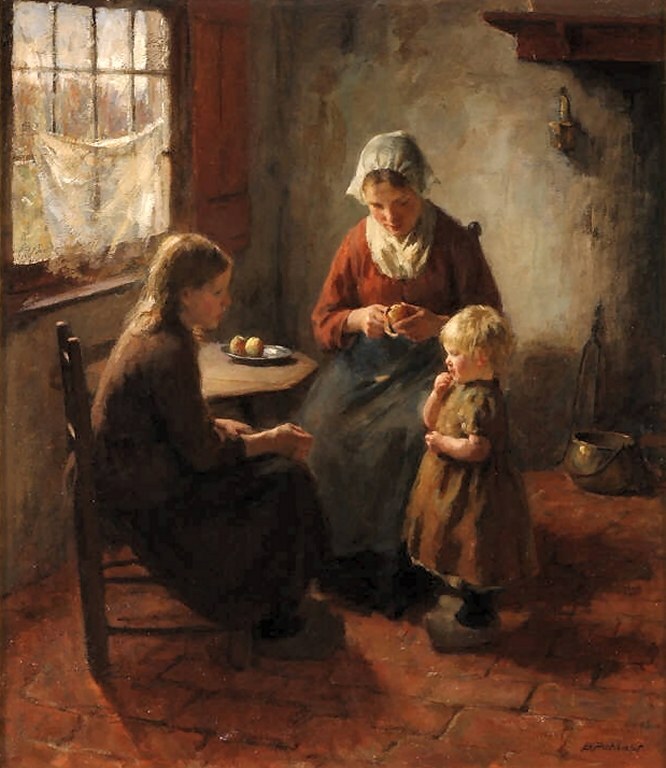 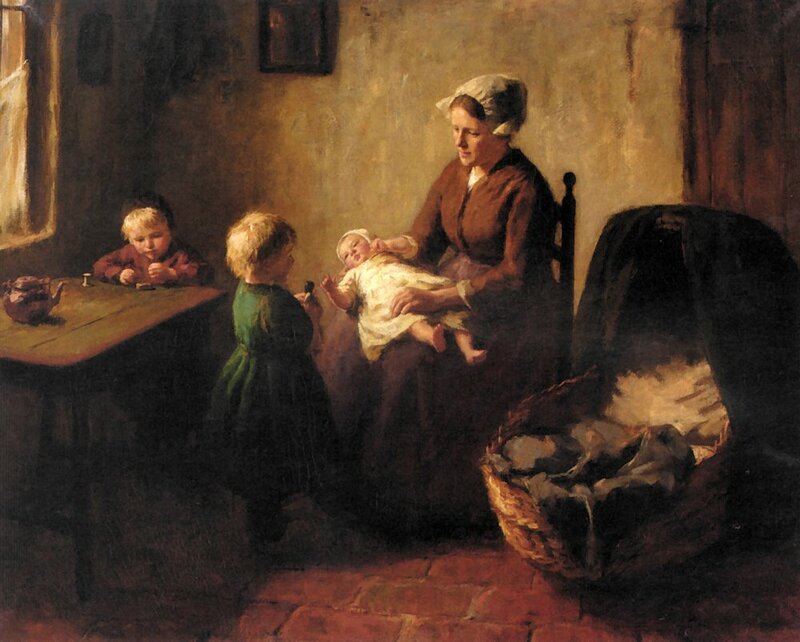 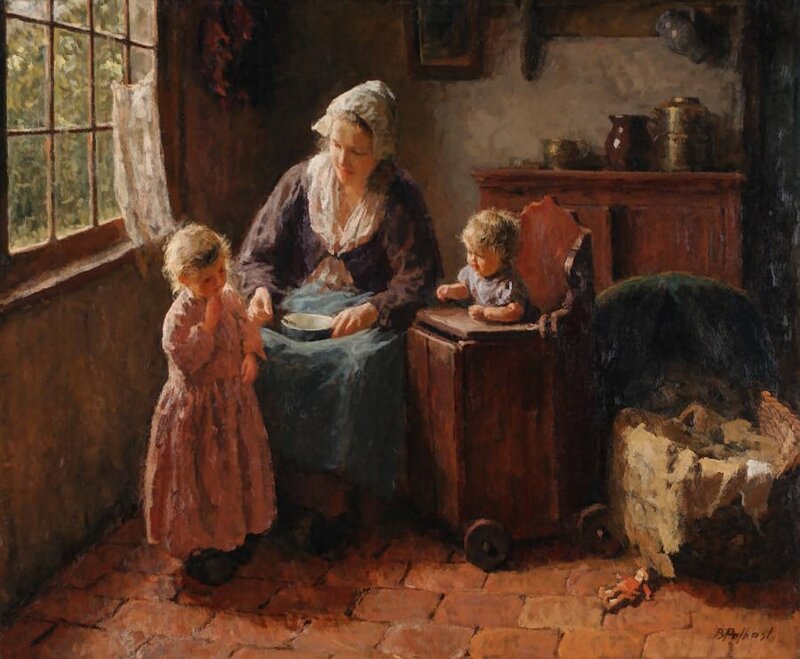 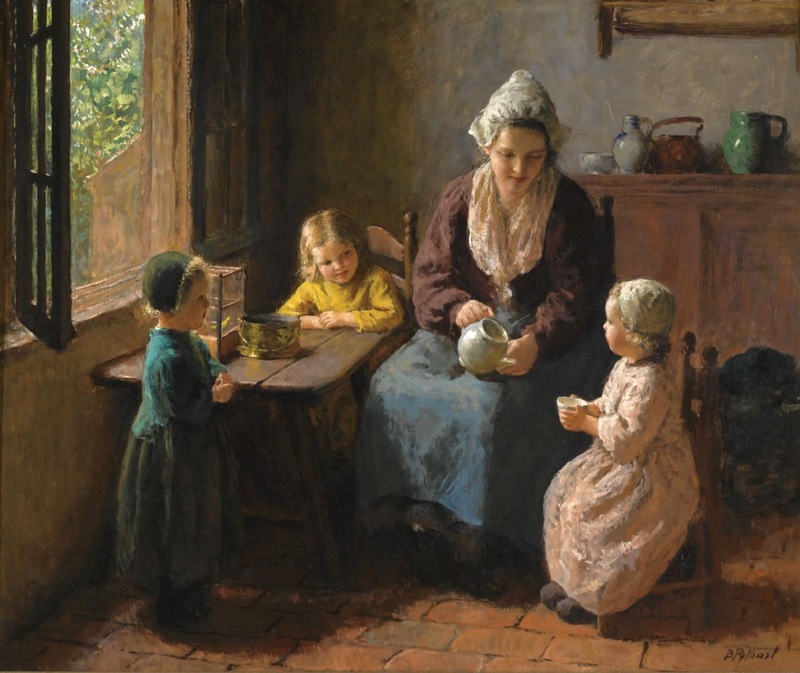 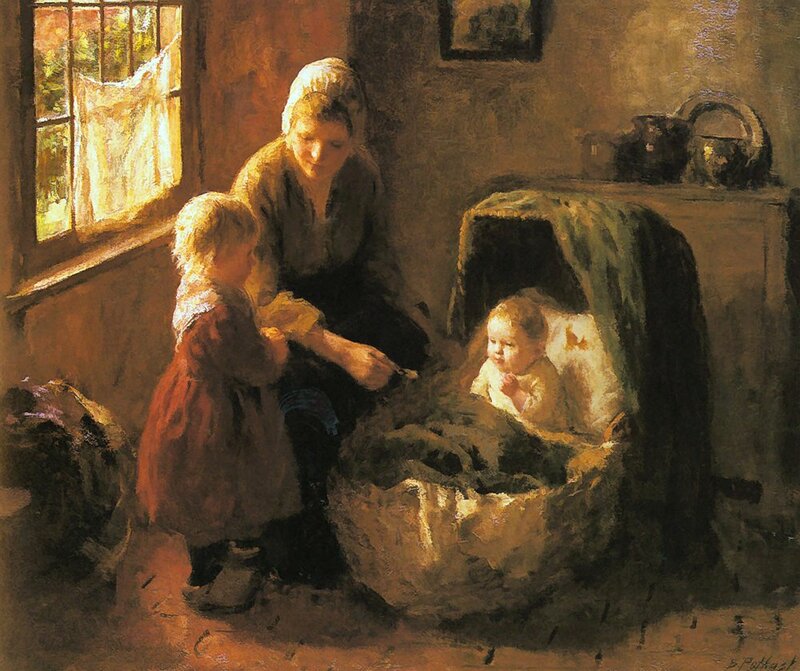 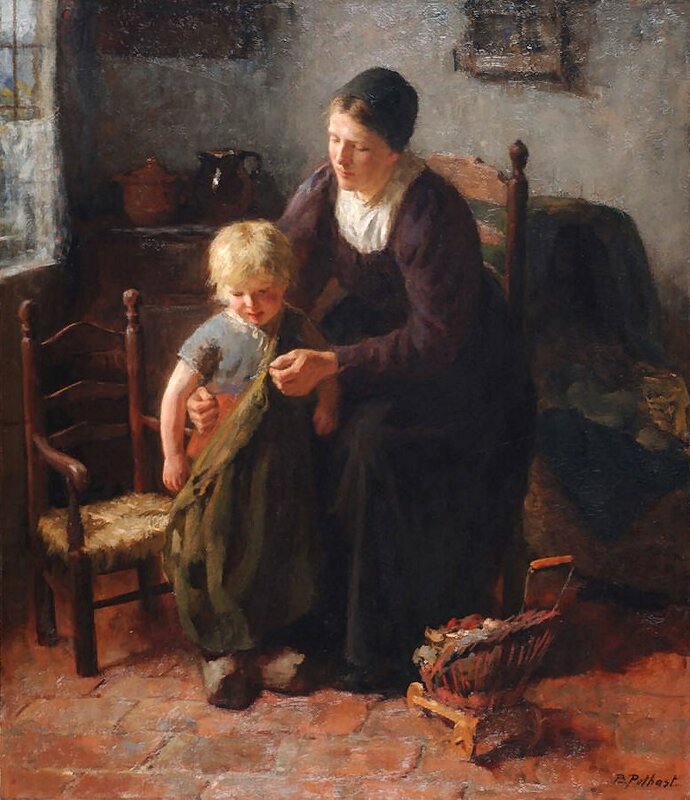 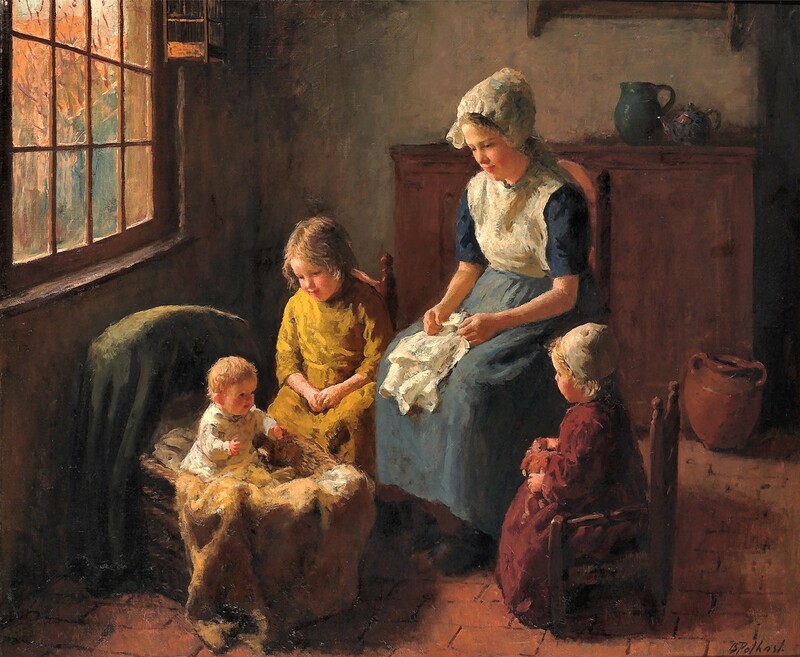 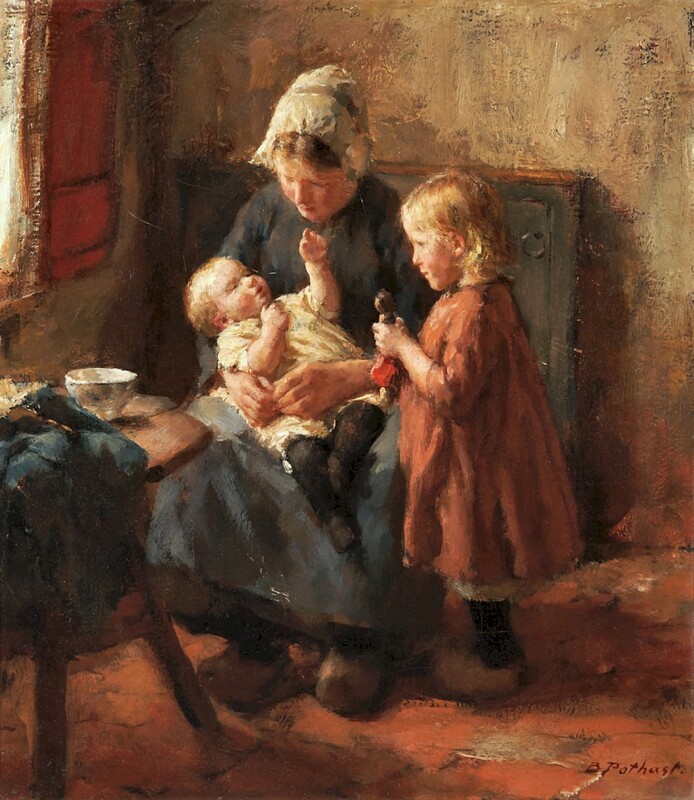 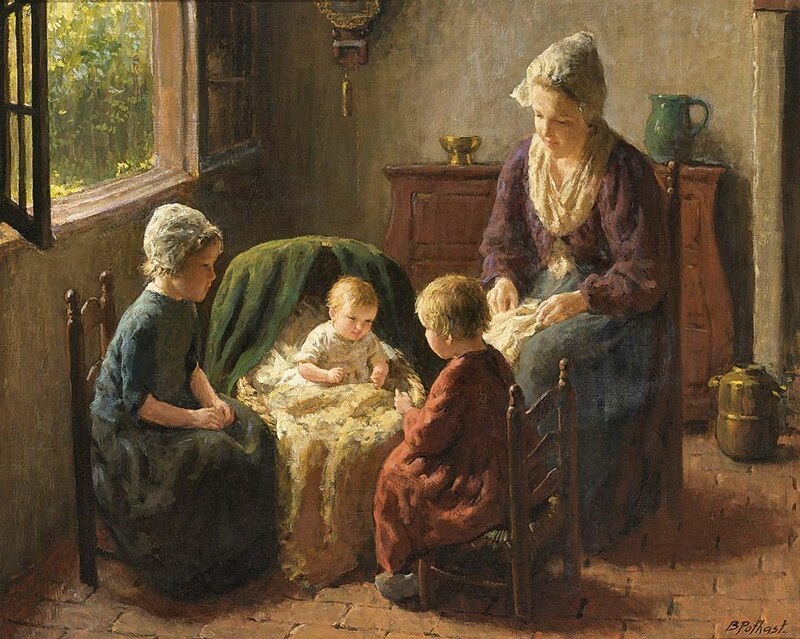 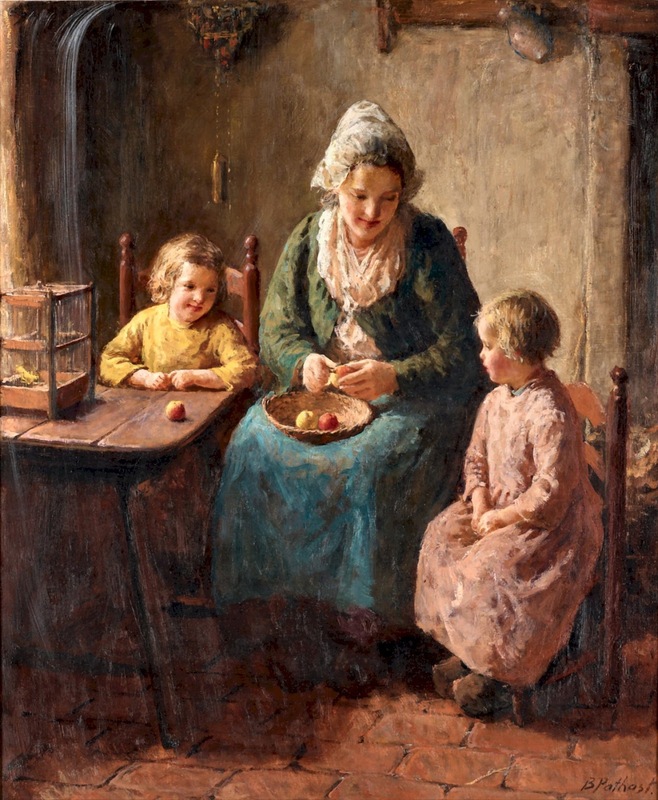 The artist is best known for his interior scenes with mothers and children. 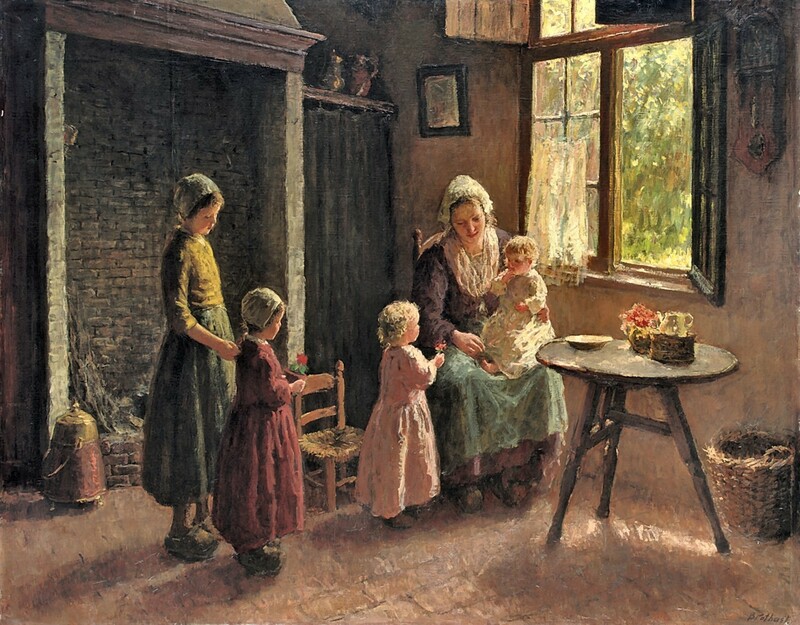 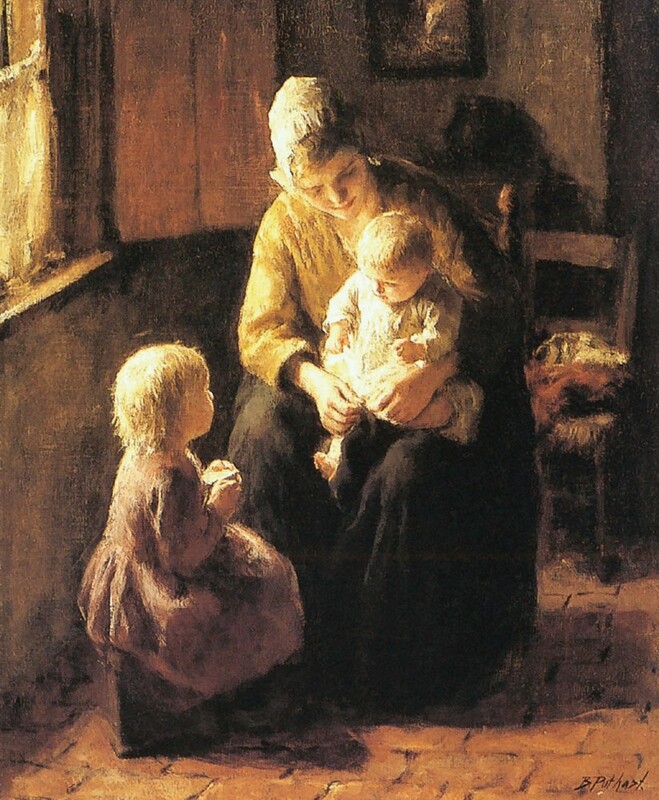 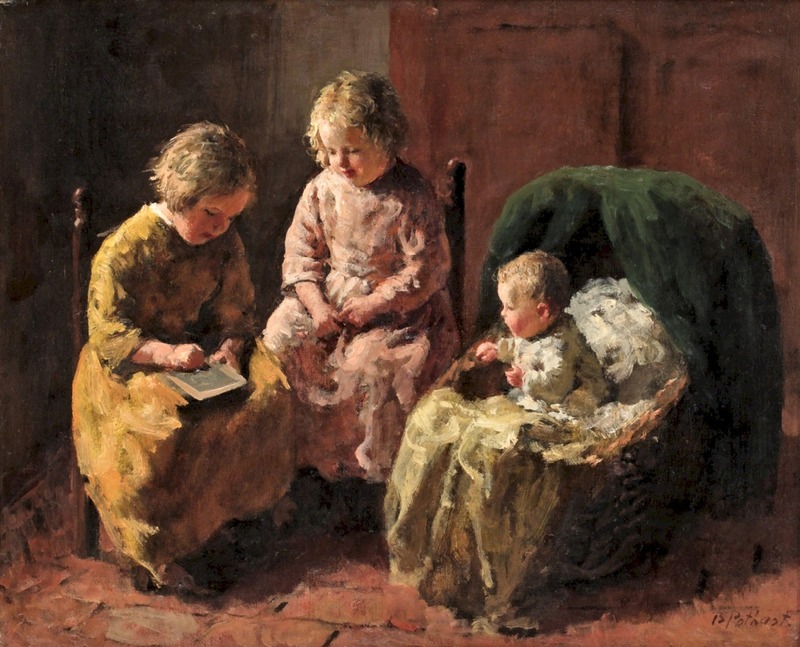 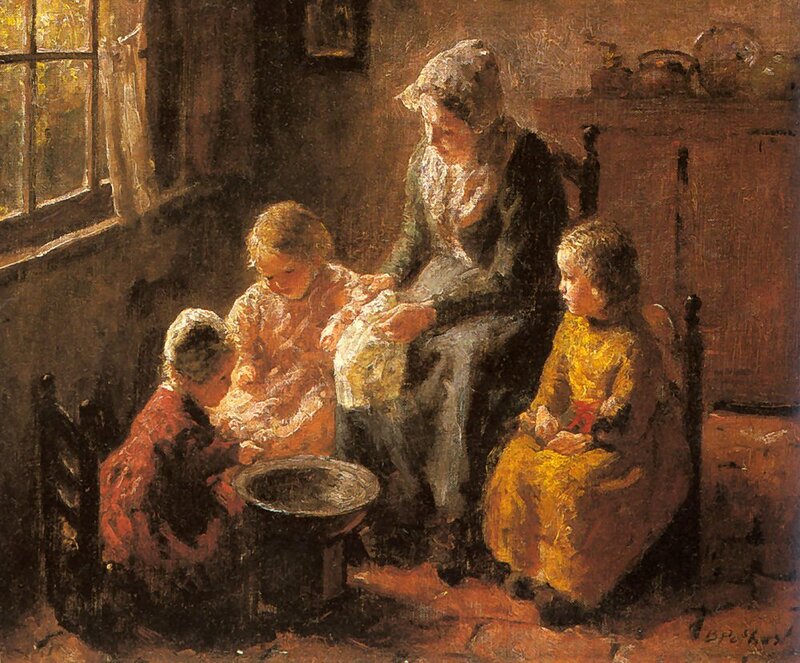 He often painted his own family. 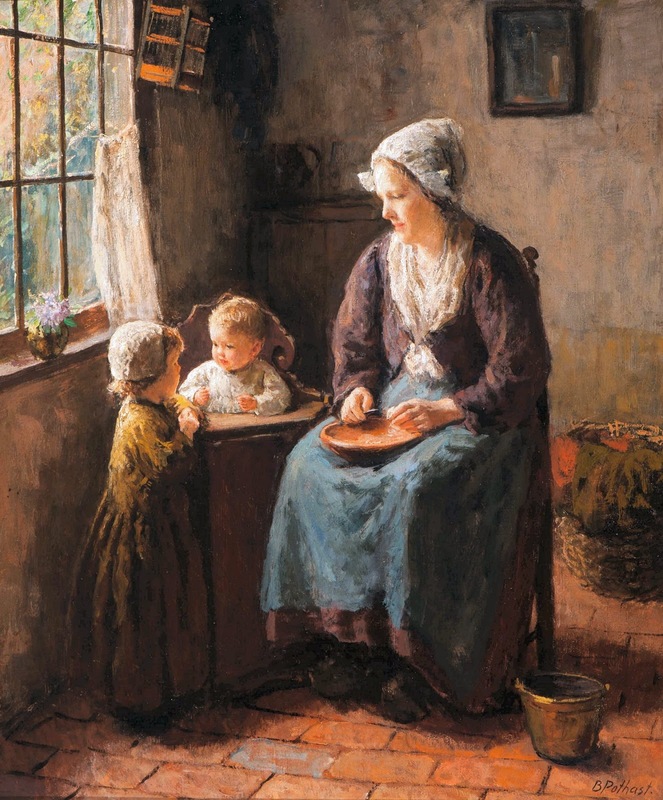 His style is a little impressionistic and he follows in the tradition of the Hague School.